iHome Featured in People Magazine — Live. Life. Loud. Find iHome featured in People Magazine this week, where the iBT372 WeatherTough speaker was included in Sterling K. Brown’s picks for fun and practical gifts for Father’s Day. Mr. Brown’s most recent TV show, This Is Us, is one of the highest rated new series on network TV. "I spend a lot of time in the pool in my backyard with my family, and we use this to play music", Brown says of the iBT372. The iBT372, a waterproof, portable Bluetooth stereo speaker system, features an innovative voice control function which allows you to access music from iHeartRadio and Spotify using voice commands. 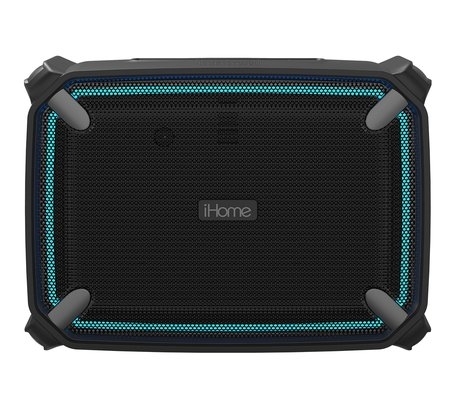 This waterproof, shockproof, and dustproof model is a great addition to iHome's series of durable WeatherTough products. Learn more about the iBT372 here, and check out the article on People Magazine here!